Home / Blog / When is the Best Time of Year to Reroof your House? Easy question, right? Actually, determining the best time of year to reroof your house can actually be fairly complicated. Realistically, if you have significant problems or a major leak – now. Now is the best time to reroof your house. But, if you are on top of roof maintenance and your roofing professional tells you you’ll need a new roof soon, you probably have the luxury of scheduling the project at a time that will actually save you money. So, when is the best time of year to reroof your house? Weather will be a major determining factor in when the best time of year is to reroof your house. 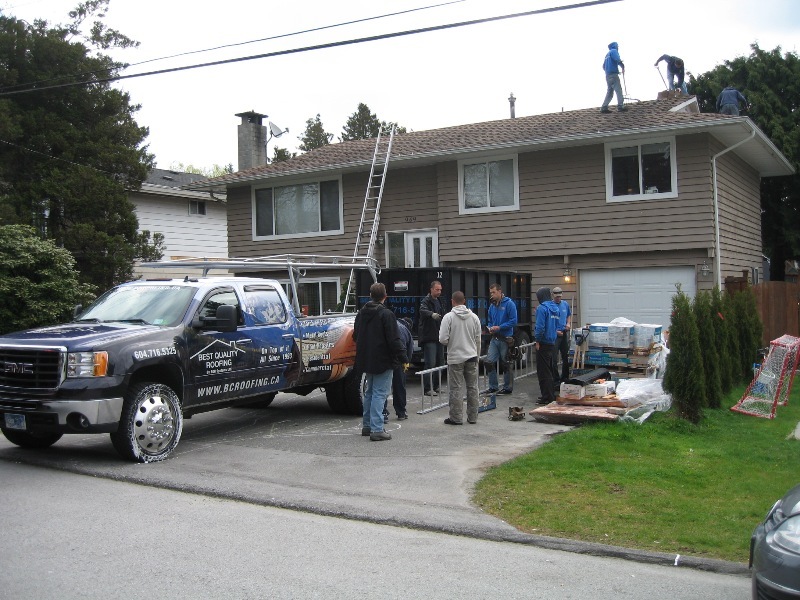 Depending on where you live and seasonal weather patterns, the busy season for roofers will also vary. If you want to save money, you want to plan for your new roof and schedule the project during the slow season for roofers. Winter months tend to be the most expensive for many reasons. First, roofers are busy dealing with emergency repairs, and they are not likely to take on a total roof replacement at this time. In fact, even if you are in dire need of a new roof during the winter months, your roofer will probably recommend temporary repairs to allow for scheduling your roof replacement at a better time. This is mainly because there are added safety risks for roofers when they work during inclement weather. Spring and fall also tend to be busy months for roofers. In the spring, they are busy doing repairs or replacements to roofs that were damaged over the winter months; and in the fall, roofers can be busy getting homes ready for the upcoming winter weather. As such, summer tends to be the best time to schedule roofing replacement for residential properties. Ultimately, the best way to ensure some control over when you schedule your roof replacement is through proactive roofing maintenance. Even the newest roof should be regularly inspected for signs of damage so that it can be kept in its best condition. You can significantly extend the lifespan of your roof by collaborating with a roofer to conduct annual inspections and keep on top of minor repairs. Then, as the condition of your roof begins to degrade, your roofer will be in a better position to help you effectively schedule a roofing replacement for your home. In reality, all roofs will need to be replaced at some point. To avoid catastrophic roof damage that leaves you in the lurch during the worst months of the year, always schedule regular roof maintenance. Having an established and trustworthy relationship with your roofer will also give you peace of mind knowing your roof is sound and secure.